Published every Tuesday and Friday. 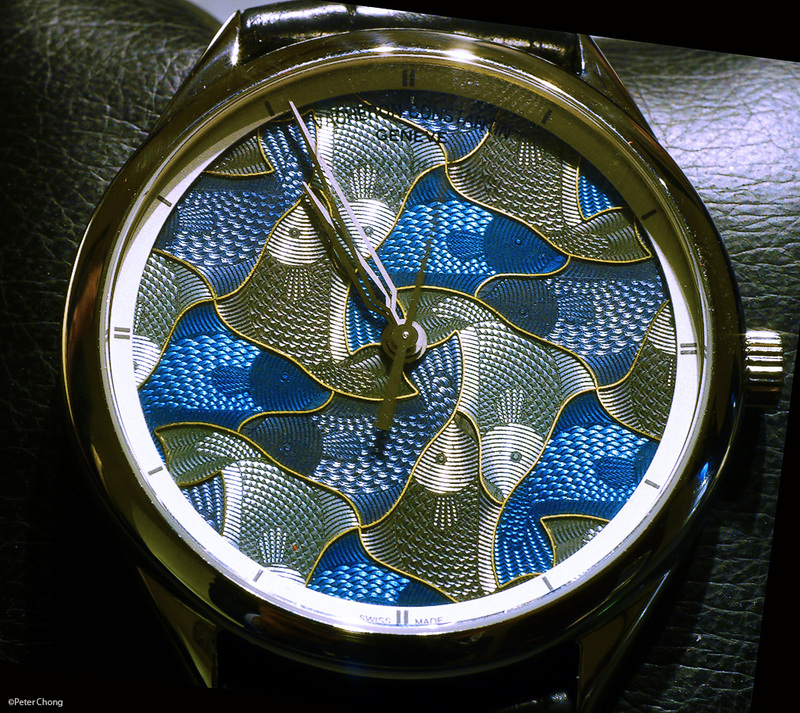 Take me to the Parmigiani blog! 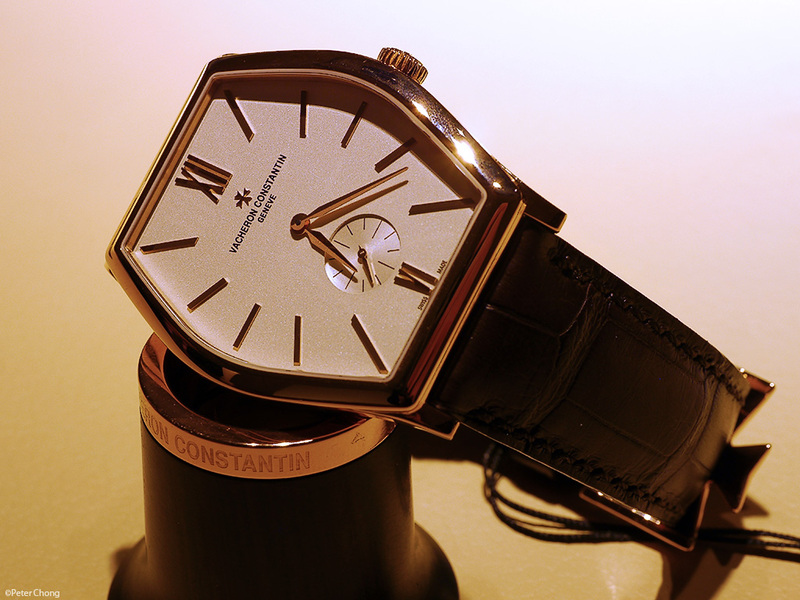 SIHH 2012: Vacheron Constantin. The rise of the new Malte and the continuing saga of the Metiers d'Art. 2012 seems to be the year of the reissue. Many brands reworked their classic offerings and modernized their collection. 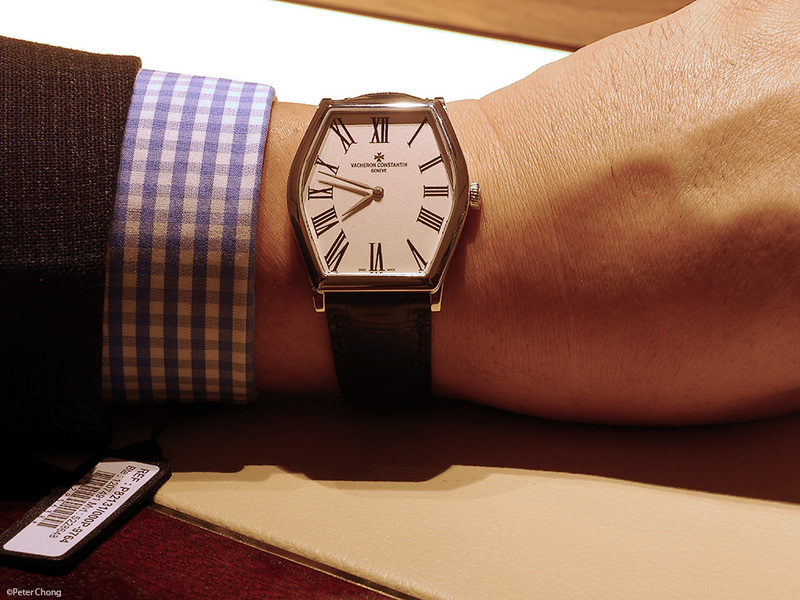 This was seen in JLC with their 1930s Reverso (yes that started in SIHH 2011), AP with the 40th Anniversary of their Royal Oak. Lange with updates to the Grande Lange 1 and Datograph. But none can claim to be doing an reissue, because the original design is celebrating its 100th Anniversary. Except VC. The Malte tonneau shaped case is now 100 years old. So the theme for VC is the refresh of the Malte. Always beautiful and elegant. If you'd ask me how to make the Malte more elegant last month...I would be at a loss. But now, having seen the revised Malte, I can see that the VC team was immensely successful in the update. The new Malte is all at once more elegant, more subdued. Dignified. And on the wrist, still marvellous and beautiful. 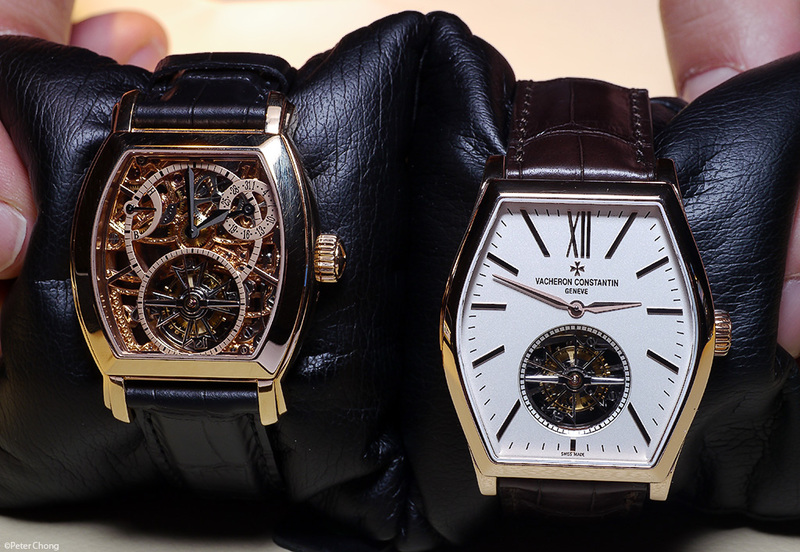 I have always been particularly intrigued and have a spot spot for the Malte Tourbillon. 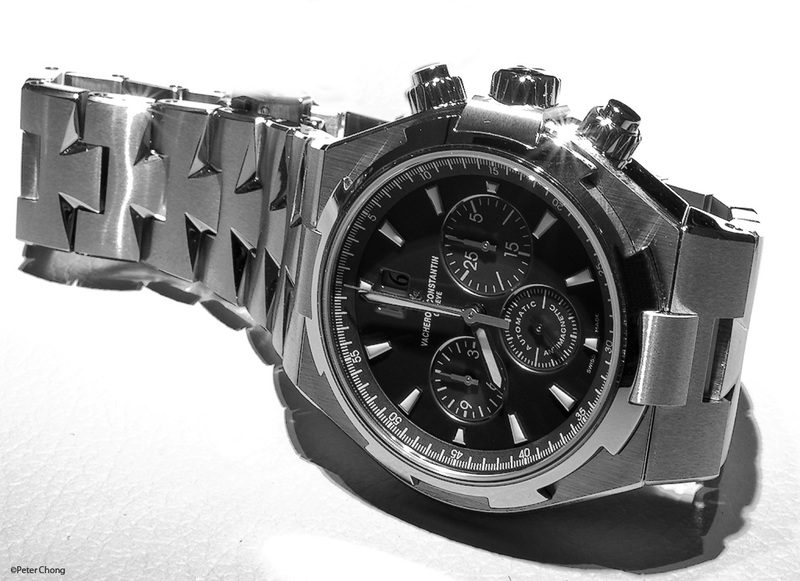 Not many watches are built a form movement for a tonneau case. Most are satisfied by just slapping a round movement into the tonneau shapped case and call it a day. But not VC. The original Malte Tourbillon had a form movement. This means that the movement follows the shape of the case, which in turn means that it can only fit one and only one watch. Change the proportions of the case, and you will need a new movement. But this specific for its purpose design is beautiful and somewhat romantic in its own right. Like the concept of a marriage made in heaven which will last forever. Seen side by side, I guess we now call the formely elegant Malte...a bit tubby. And the new one, immensely slender and elegant by its side. 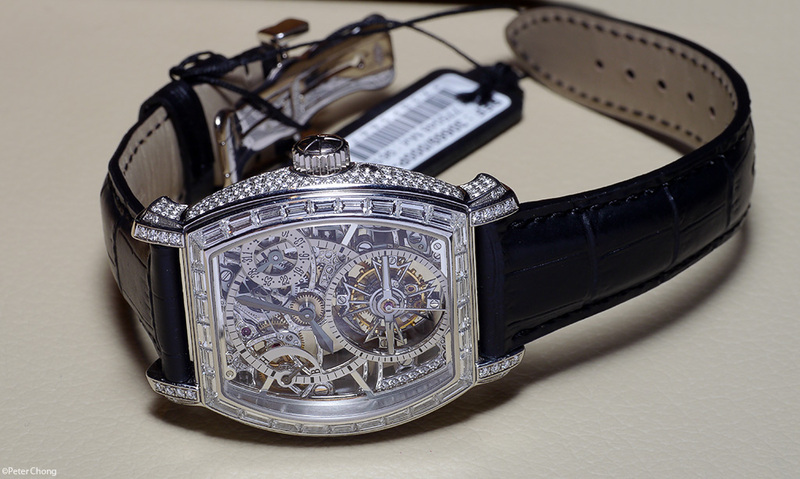 Another look at the Malte Tourbillon...this time, dressed in bling. VC is also famous for their Metiers d'Art series. Since its beginings in the Mask series, the collection has evolved to one where works of art highlighting various traditional artisanal crafts for each watch are presented each year. 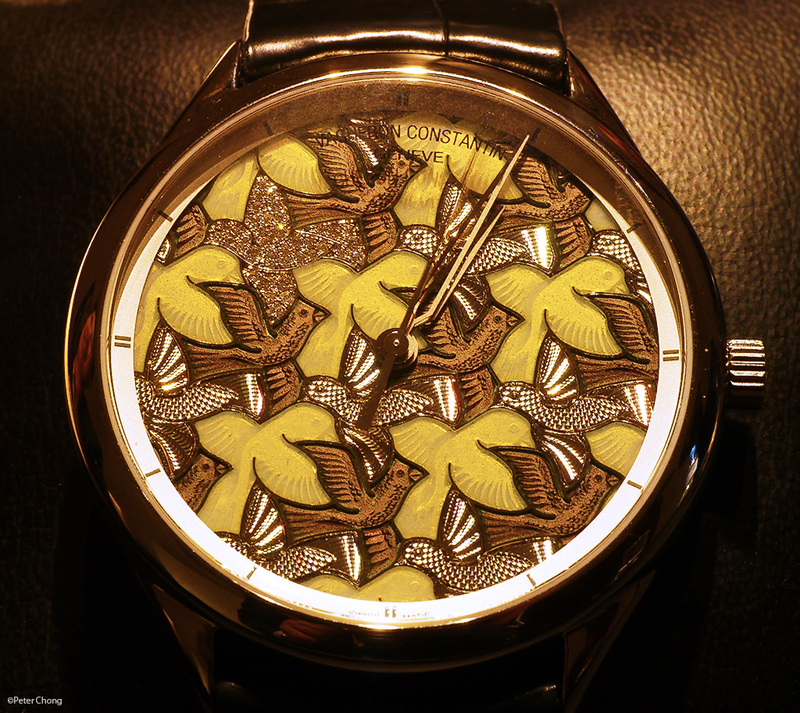 I have featured the Chagall Paris Opera watch a while ago, and remain in deep respect for Anita Porcet who did the enamel work, and to VC for making such a wonderful piece of art. 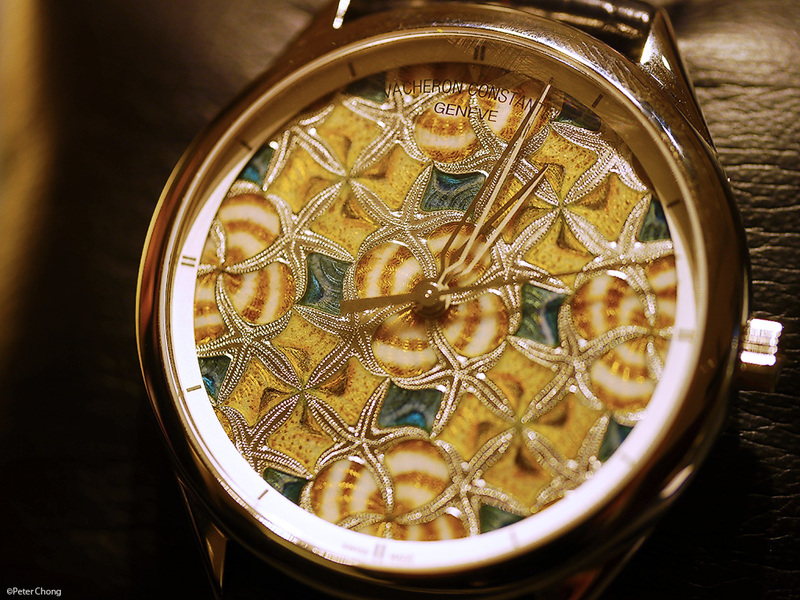 Each featuring some of the essential artisanal skills: engraving, champleve enamelling, guilloche, and gemsetting. I found the pieces quite beautiful works of art. The Pour le Merite Collection: How to get a copy? COPYRIGHT NOTICE: While many blogs grant a Creative Commons License agreements, this blog does NOT. All content in this blog is protected as All Rights Reserved, unless otherwise stated. Although it is not mandatory to state this because this is guaranteed under the Berne Convention, it is hereby declared as a warning that all rights for all material in this pages are fully reserved. Please contact me at my gmail account: chongp if you wish to use the photographs or texts for any purpose. All Rights Reserved Peter Chong. Awesome Inc. theme. Powered by Blogger.